Max can't recall a time when he didn't want to pursue athletics in one way or another—with the possible exception of a brief childhood ambition to be president of the United States. "Like a lot of kids, I dreamed of being a professional athlete or the president, but by fifth grade I was determined to become a sports journalist," says Max, who has devoured sports writing since the time he learned to read. "As an English major, I analyzed a lot of Shakespeare during my time at H-SC," he says with a wry smile, "but I wanted to return to my roots with this project." The result was a year-long honors capstone devoted to non-fiction sports writing in all its forms. With the help of his advisor, Dr. Sarah B. Hardy, Max divided his capstone work equally between the creative and the critical. A series of multi-media projects utilizing audio, video, photography, and writing formed the creative side. From an oral history of the first televised Division III football game—which happened to feature H-SC's 1976 defeat of JMU—to an in-depth article about Coach Tony Shaver's successful tenure at the College—think Moneyball meets H-SC hoops—the creative work thrust Max deep into Tiger athletics past and present. He even built and coded his own website to host the content, creating a digital portfolio of sorts that will serve him well as he launches a career in sports journalism. Not all of the creative work was digital, though: Max also created a photo essay based on Levels of the Game, John McPhee's narrative exploration of the 1968 U.S. Open match between Clark Graebner and Arthur Ashe. As a fellow native of Richmond, Max explored Ashe's hometown guided by McPhee's prose, paying particular attention to issues of race and class. The self-published photography book is entitled Lieutenant Ashe. For the critical portion of his research, Max analyzed the relationship between sports narratives and American culture through the lens of three separate non-fiction works, focusing on different sports in different eras: tennis in the 1970s, basketball in the 1980s, and baseball in the 2000s. His cultural analysis touched upon issues like race, wealth, and celebrity, as well as the progression of technology at the end of the 20th century. 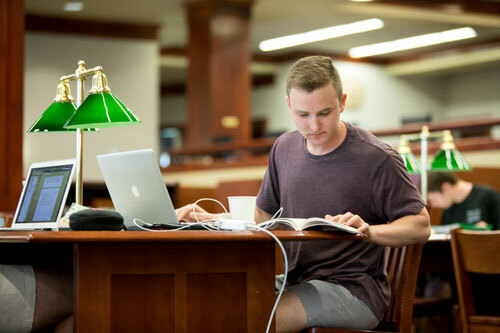 "I wanted to do something that was true to me, that would bring things full circle as I closed out my college career," says the Crawley Scholarship recipient and former editor-in-chief of the Tiger newspaper, Max Dash. Max says the critical aspect of his honors capstone, which culminated in a 60-page thesis, forced him to think deeply, draw out larger ideas, and support those claims in depth—all of which challenged him as a journalist. But the creative work also proved valuable as he explored different media through practice, rather than analysis. "In a sense, I've been developing these different multi-media muscles," he says of the audio, video, and photo work. "It helped me, as a journalist, to step out from behind the keyboard." Those metaphorical muscles will be put to work in the coming months at a paid internship with Turner Broadcasting in Atlanta. As a member of the network's NBA Content Marketing Team, Max will help craft the strategy, branding, messaging, and content for the NBA on TNT, NBA.com, and NBA TV. The position at TNT is what Max has been building up to for the past four years by pursuing every opportunity to work in journalism and athletics. Beyond his editorial duties with H-SC's student newspaper, Max was the camera man for the Tiger soccer livestream, the scoreboard operator for H-SC basketball and lacrosse, a tutor at the Ferguson Center for Public Speaking, and an intern for Virginia Living magazine. 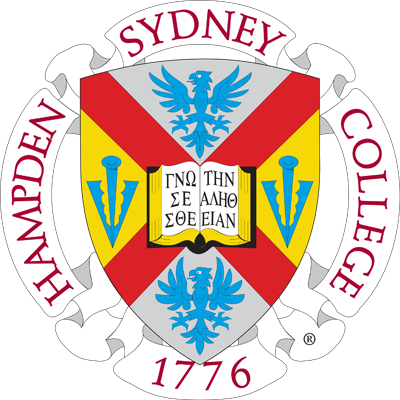 All of those commitments plus the massive scope of his honors research meant Max's senior year at Hampden-Sydney was anything but easy. "Although I spent less time in the classroom, I had to be more regimented with my time than ever. I got very close with the library staff," he jokes, "because they had to kick me out at closing time several nights a week." Even in the final week of his senior year, Max was in the Tiger office until 5 a.m. getting his last issue of the paper off to print. In both expected and unexpected ways, Hampden-Sydney prepared him for a career in communications, says Max. "Early on, I recognized the value of a small, liberal arts college with a focus on rhetoric," he says. 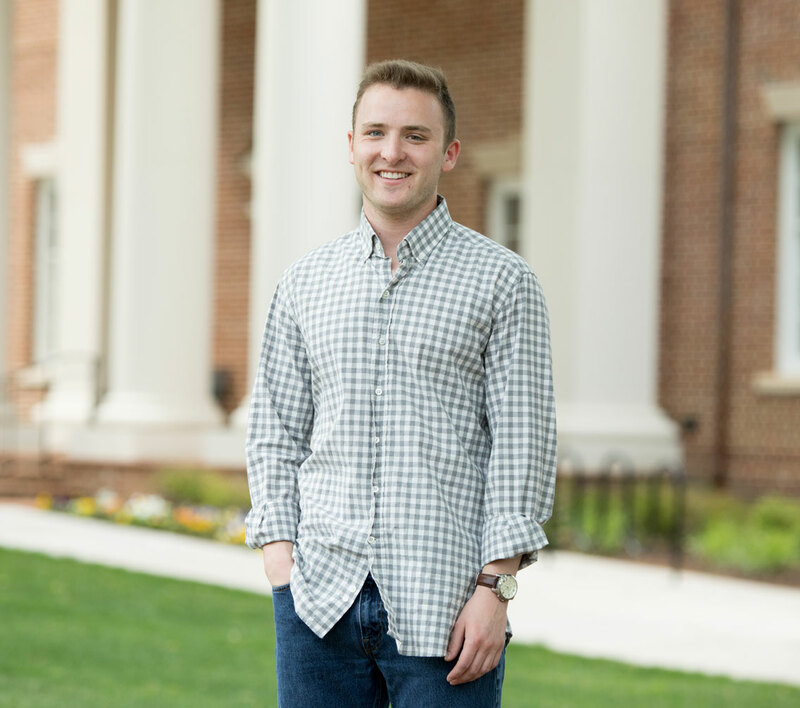 "Looking back now on the past four years at Hampden-Sydney, I see that the entire campus culture made me a better communicator. We constantly engage and interact with each other here because it's a small community where people are known. I'm so grateful for that, and not just professionally. I'm probably a better human because of it."